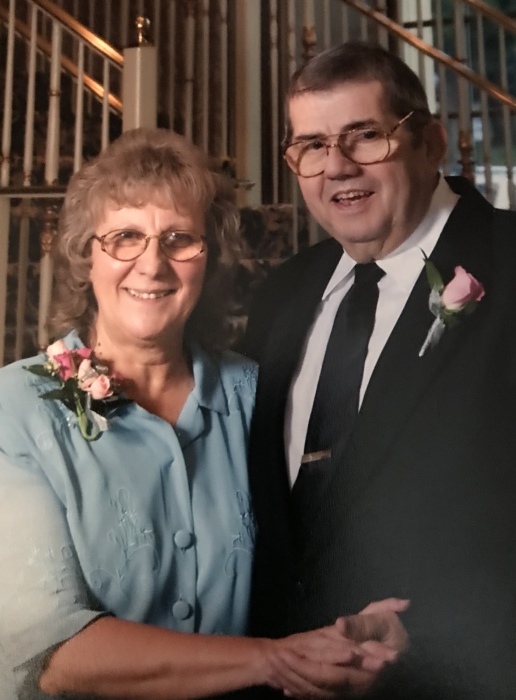 On September 10, 2018 John W. Dougherty Jr.. Beloved husband of Eleanor M. Dougherty (nee Quick). Dear father of Kris Lee Travis and her husband Doug and the late John W. Dougherty III. Cherished grandfather of David Eugene Dougherty, Hailee Dimae Travis, Kasey Jean Travis and Gabriel Douglas Travis. Great grandfather of Jace Gene Allen Travis, Natalie Faith Dougherty and Dara Jordyn Dougherty. Brother of Alice Corrieri and the late Patrick and Michael Doughtery. Also survived by other relatives and many friends. The family requests relatives and friends to visit at the Oakwood Bible Church 2931 Hollins Ferry Rd. Baltimore, Md. 21230 this Sunday September 16, 2018 from 10:00 AM till 12:00 PM at which time services will be held. In lieu of flowers the family requests contributions be made to the Oakwood Bible Church care of 627 E. Fort Ave. Baltimore, Md. 21230. Interment will be held at a later date in Sunset Memorial Park Cemetery Bennettsville, S.C. 29512.